An overdue birthday present for a super-talented friend who knits, among other things. 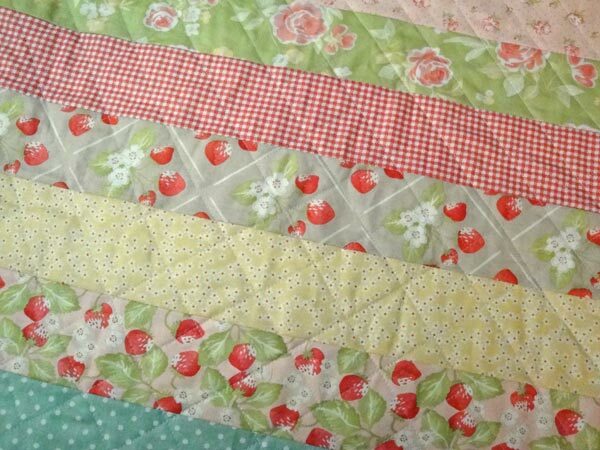 The fabric line is Strawberry Fields, and I bought it specifically for her, not knowing what to make from it, only knowing that it was her to a "T". Duh. 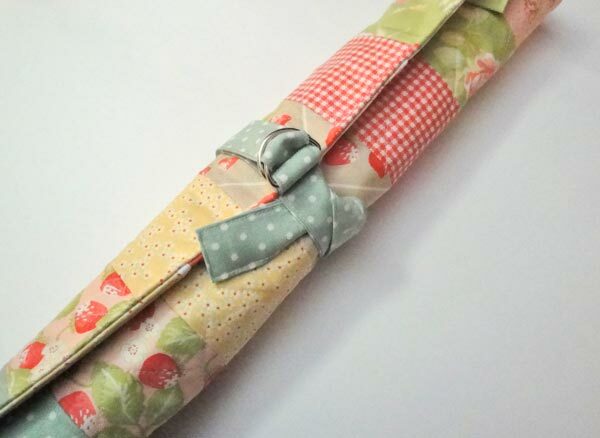 Make a roll to hold her knitting and crochet needles... 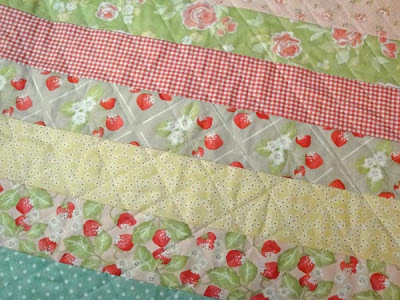 I ended up making the exterior by piecing a variety of the fabrics to make a mini-quilt and quilting it in diagonal lines. Many of the online tutorials finish the roll with a ribbon or elastic. When I made this type of roll before, I was really unhappy with the elastic because it stretches and then putting in a new one is a big pain. And the ribbon, while a nice idea, is annoying to tie and untie. So I decided to use two d-rings to make a sort-of belt for the roll. 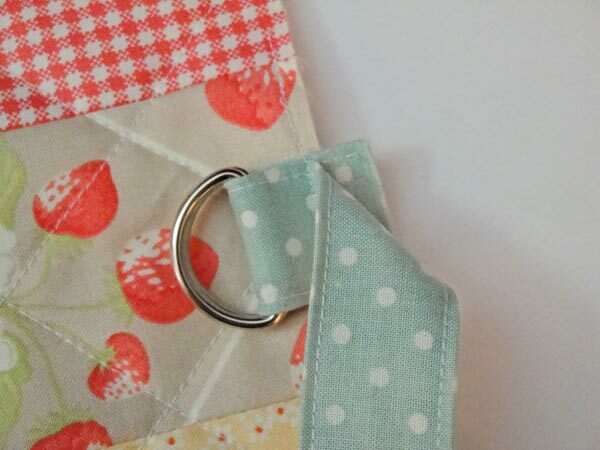 Here's a close-up of the rings as attached to the front before the entire roll was sewn together. 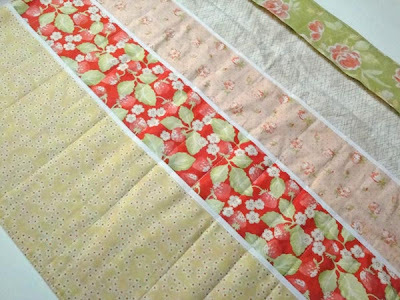 I cut a piece of fabric 4" wide and about 17" long so that once folded, it finished at 1" wide and 17" long. One end was finished, the other left with raw edges I then looped the two d-rings through the raw edges end and tacked it in place as shown above. The inside has three rows of pockets to hold needles and other stuff. Not being a knitter or crocheter, I have no idea how many pockets are needed or what size they should be so thank goodness for online tutorials. nice. the d-ring makes much more sense than elastic or a ribbon.